Who can afford to retire these days? With the high cost of living, the slowdown in the economy and the depreciation of the ringgit, our retirement savings will be depleted long before we are gone. It's time for a Plan B, C or D to supplement our retirement funds. It's either back to work, start a small business or invest a portion of our savings. If you have no head for business or investment, the best option, arguably, is to get a job. However this is easier said than done. Jobs that are suitable for older workers are limited. But a bigger challenge facing retirees planning to return to full or part time employment is age discrimination. With multinational corporations, SMEs and retail businesses laying off staff in the hundreds and thousands, retirees have better luck striking a 4-D lottery than getting re-employed. That is why Mayflower Tours deserves two thumbs up for giving two of its employees, Ivan Ho Eng Kiang, 67, and Mohd Shapiei bin Zakaria, 68, the opportunity to continue working with the company. Both had already reached retirement age. 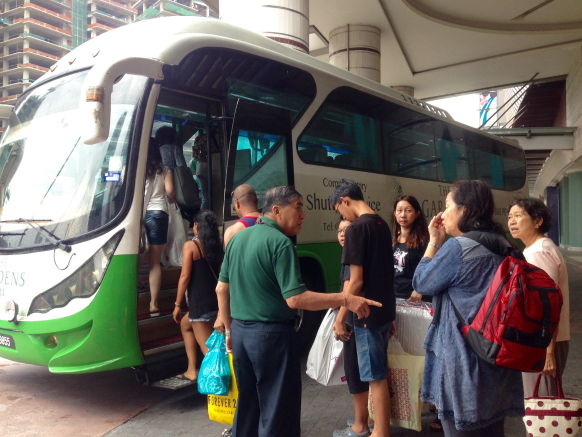 Says Freddie Yap, Head of Coach Operations with Mayflower, "The Gardens Mall had approached us to provide a shuttle service from Mont Kiara to The Gardens Mall, including a conductor and a driver. We immediately thought of Ivan and Shapiei. Both men had just the right qualifications and qualities for the job. Ivan, a former tour guide, knew exactly what the job entailed. 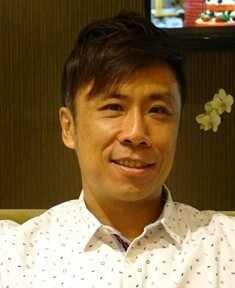 As for Shapiei, his vast experience as a former driver with a tour and travel company made him an obvious shoo-in for the job." Fortunately for Ivan and Shapiei, The Gardens Mall had no issue with having two senior citizens running the shuttle bus service. 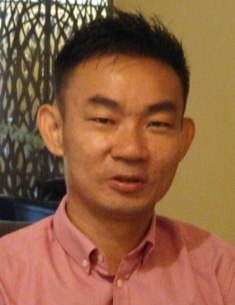 "To us, what matters most is excellent customer service and good work ethics," explains Billy Pih, The Gardens Mall Customer Service Manager. "As the passengers are mostly expats and locals residing in Mont Kiara, we needed someone who could speak good English, is familar with the needs and expectations of the passengers, and upholds professionalism in his work. Ivan fits the bill. The same with Shapiei. It would be hard to find a more reliable, responsible and patient driver than Shapiei. He is very careful on the road. The safety of the passengers is paramount to him. What do both Ivan and Shapiei have to say about their work? Both men take their job responsibilities seriously. "I enjoy my work. I would be bored stiff doing nothing, just sitting around at home," says Shapiei. "Me too," chips in Ivan. "My children have no objections to my returning to work. In fact, they say it's good for me. Keeps me physically and mentally active. And self-supporting too." As part of his daily work routine, Ivan welcomes the passengers on board, reminds them of the schedule for the day and even throws in suggestions on what activities they can enjoy while at The Gardens Mall and MidValley City. No other shuttle service provides a conductor quite like Ivan. Shapiei, on the other hand, prefers to focus on his driving. Soft-spoken and mild-mannered, he is a direct contrast to Ivan, but together they make a great team. Now eight years down the road, Shapiei still enjoys driving the shuttle, and Ivan still relishes taking good care of everyone on the shuttle. He finds seats for the elderly, helps young mothers with their strollers, and others with their shopping bags. Mont Kiara residents who use the service have nothing but high praise for both men. 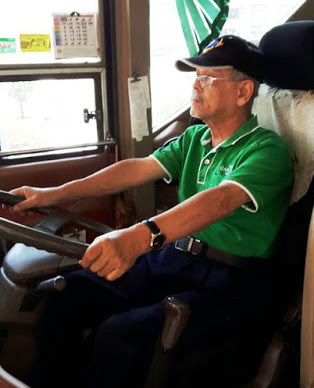 Retired school administrator, Chan Ng Moi, has been taking the shuttle for the past three years. "The service is excellent. The bus is clean and comfortable. Ivan is friendly and courteous. He connects well with the passengers. As for Encik Shapiei, I feel safe knowing he is behind the wheel. He is such a cautious driver. I have never seen him speed or lose his temper. This is very important as there are elderly people and children taking the shuttle daily." Indonesian expat, Lovi, echoes the same sentiment. She uses the service regularly with her husband. "It's so convenient. This morning we took the 10.00am shuttle, did our grocery shopping at the supermarket in The Gardens Mall, and returned to Mont Kiara on the 11.35am shuttle. We are able to plan our shopping trips according to the schedule because we know the shuttle is always on time." 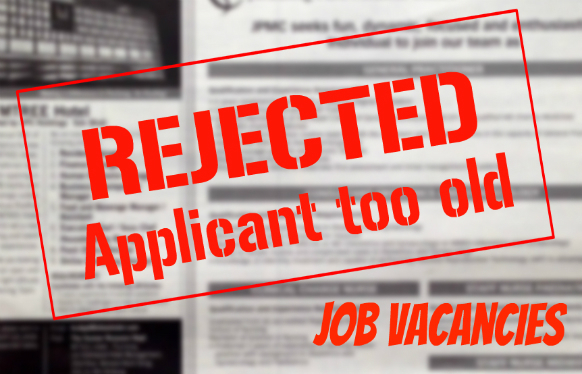 When pressed about the company's hiring policy, Pih has this to say: " We don't discriminate on age. As long as the candidate possesses the right work experience, is in good health and willing to work hard, we will recruit him. The right person for the job must also be well-groomed." Adds Yap, "Having the right attitude is equally important. Older workers must be willing to learn, adapt to change and accept instructions from younger management staff." Orderly queuing to board the shuttle at The Gardens Mall. To sum up, here's the take-home message from my interview with the four gentlemen. Seniors who are contemplating rejoining the work force should take note of these tips. They will stand you in good stead the next time you apply for a job. Other shopping malls in the Klang Valley also provide shuttle bus services. But The Gardens Mall shuttle service stands out in terms of safety, reliability and customer satisfaction. It deserves a 5-star rating. I should know as I use the service regularly. 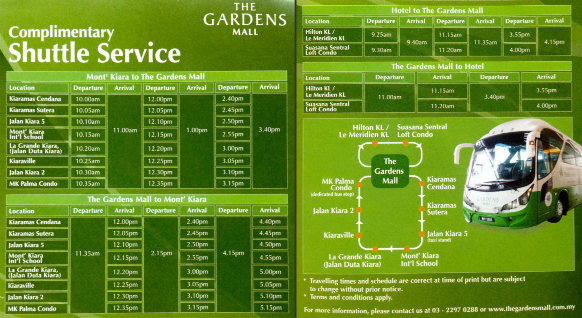 For those new to the service, here's some info regarding The Gardens Mall shuttle service. It is complimentary. The route covers Mont Kiara, The Gardens Mall at MidValley City and KLSentral, with three trips a day, 365 days a year. Pick-up and drop-off point is next to Jeeves Dry-Cleaners in the Isetan wing of The Gardens Mall.